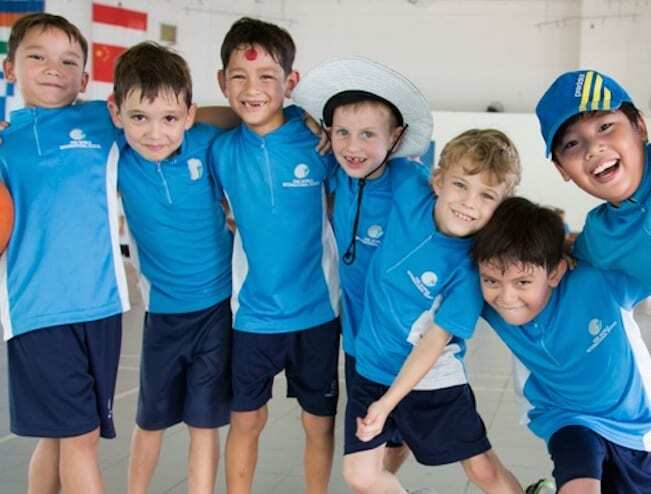 There are plenty of factors to weigh up when choosing an international school in Singapore – curriculum, facilities and fees being key deciders. But let’s face it: in our crazy busy lives LOCATION is pretty high up there when making that final choice. A short daily commute can mean the difference between a sane parent and one that’s seeking a pre-noon vino. 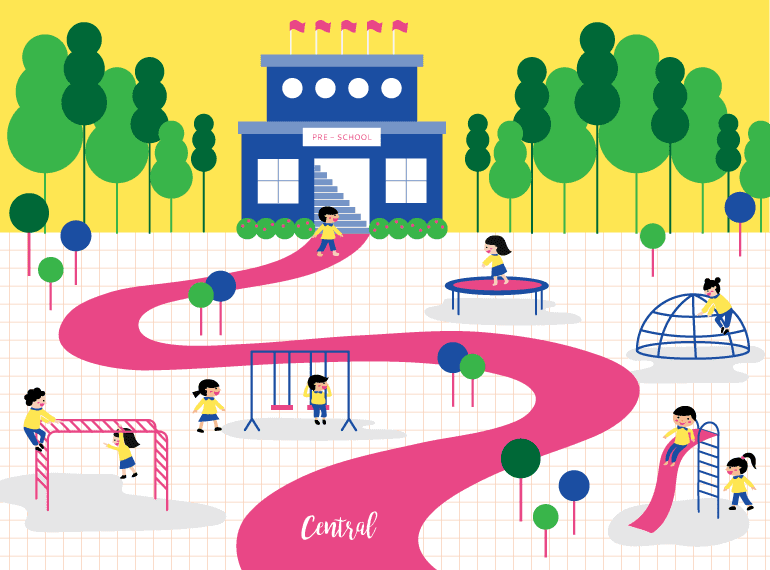 If you’ve already checked out our handy guide to great family neighbourhoods in Singapore and you’ve settled in your home, we’ve put together this handy guide to help navigate international schools by location (and avoid needless schlepping around the island). Psst: Want more help finding the perfect school in Singapore for your family? Head on over to HoneyKids School Selector for parent testimonials, fee comparisons, videos and more – we created Singapore’s original online school comparison tool and have done all the homework for you! EtonHouse International School believes education is the cornerstone of a successful and fulfilling life. 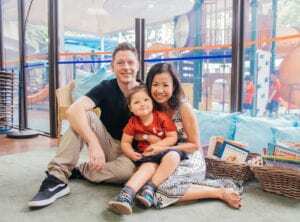 For more than twenty years it has been offering international students in Singapore a comprehensive pathway for playgroup, pre-school, primary and secondary schooling. The primary programme follows the inquiry-focused IB curriculum, and the secondary programme is based on the Cambridge IGCSE. EtonHouse understands that the environment plays a vital role in developing happy, confident, secure and competent students with inquiring minds. To that end, it has created fantastic facilities at all of its schools island-wide to foster excellence. EtonHouse also offers an outstanding second language programme (receiving the commendation of the late Mr. Lee Kuan Yew) that lays the foundation for a strong bilingual foundation. Read a little more about EtonHouse here. Orchard – 15 Claymore Road, Singapore, 229542. Newton – 39 Newton Road, Singapore, 307966. Robertson – Robertson Walk, 11 Unity Street, #02-20, Singapore, 237995. Thomson – 8 Thomson Lane, Singapore, 297743. The Australian International School philosophy commits to the notion of a holistic, rounded education, which cherishes the arts and sports as well as academics essential to each student’s education. AIS is equally committed to teaching its students to have a moral commitment to making the world a better place as reflective, caring, knowledgeable and principled people. Each child is special, each is important. AIS will always remain a non-selective school, confident that it is not intellectual ability alone that determines an individual’s worth or contribution to the advancement of the world. AIS welcomes all to its community – one, which is globally, focused, distinctly Australian. Read all about AIS’s early years centre which is due to open in 2017. 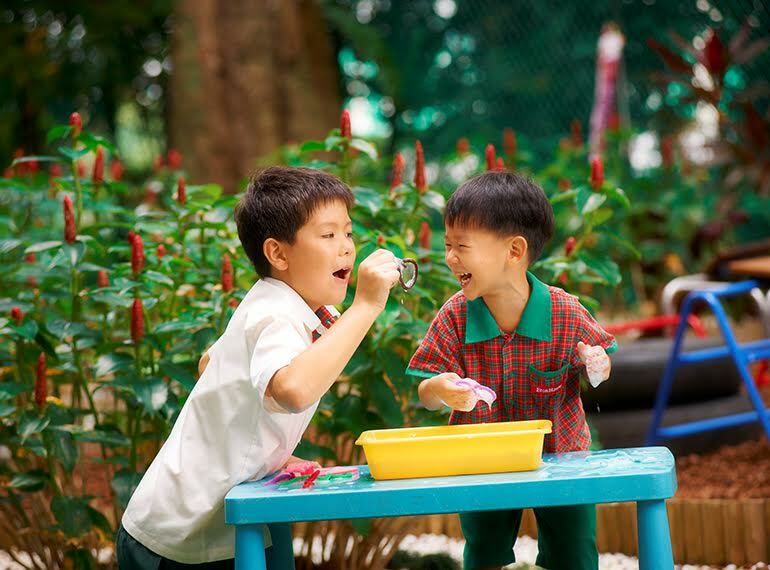 GESS is a multi-lingual, not-for-profit, international school in Singapore with a distinct European flavour. GESS provides international education to 1,500 students of more than 50 nationalities from Pre-School to Grade 12. 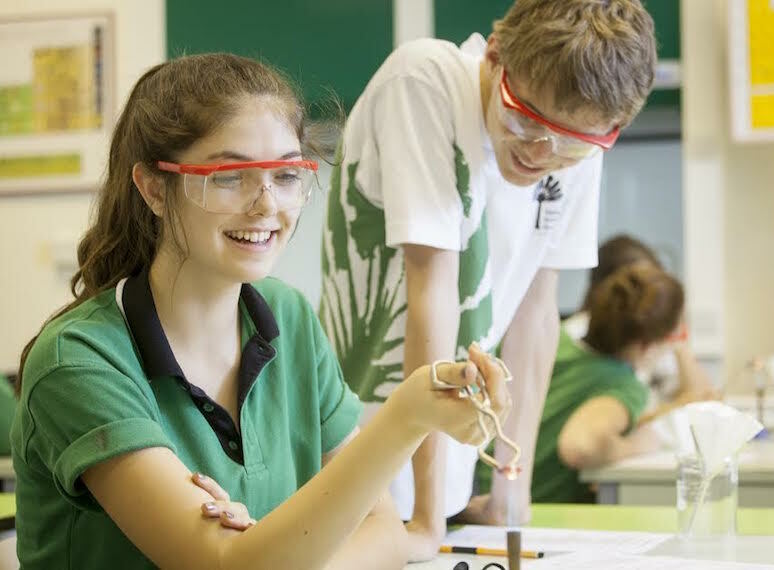 As an authorised IB World School its European Section offers tuition in English for students from three years old to high school across all three IB programmes, the PYP, the MYP and the IB Diploma. As an accredited “Excellent German School Abroad”, the German Section of GESS offers all major German school leaving certificates. 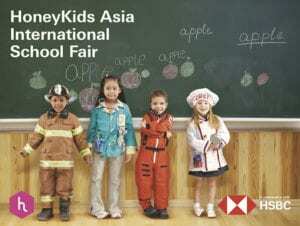 Junior School Campus – 300 Jalan Jurong Kechil, Singapore, 598668. Global Indian International School (GIIS) encourages curiosity in young students through a balanced and holistic approach towards education. Its curriculum delivery mechanism, coupled with unparalleled exposure received through diverse learning opportunities, prepares students for unseen challenges in a dynamic and multifaceted global environment. GIIS’ campuses in Singapore are recognised for their hallmark initiatives in educational excellence, environment conservation, peace and value-based education, and community integration. Students receive wide exposure through participation in various school activities and external programmes, providing fruitful opportunities for learning and overall personality development. Balestier – 51 Jalan Rajah, Singapore, 329154. Hillside World Academy (HWA) is a forward-looking, contemporary academy that believes in a holistic approach to teaching, and is committed to lifelong learning for all. It aspires to be a global institution that integrates the discipline and rigour of Eastern pedagogy, with the inquiring, creative, and collaborative values of Western education, via the International Baccalaureate (IB) programme. HWA’s vision, mission and guiding statements reflect what it stands for as a school, and can be observed in all aspects of school life from activities in the classroom, to excursions outside of campus, to the curricula, and the way it communicates within its tight-knit community. 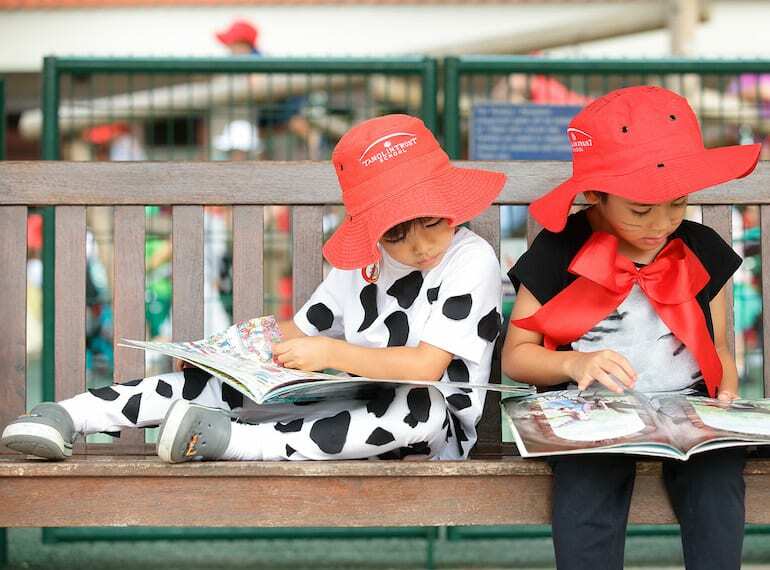 Stamford American International School (SAIS) is the first and only school in Singapore to offer American and International Baccalaureate curriculums for kids aged two to 18 years. Centrally located, just 10 minutes from Orchard, Stamford American’s facilities include a 500-seat theater with professional lighting and sound equipment and state-of-the-art sports facilities including three swimming pools, two indoor sports arenas, tennis courts, dance studios, rock climbing walls, sports field and a Golf Academy. Reflecting its diverse population, SAIS is dedicated to the languages with not only a Mandarin and Spanish bi-lingual program, but also eight mother tongue languages, and an accelerated English program. It also boasts the largest instrumental music program in Singapore. 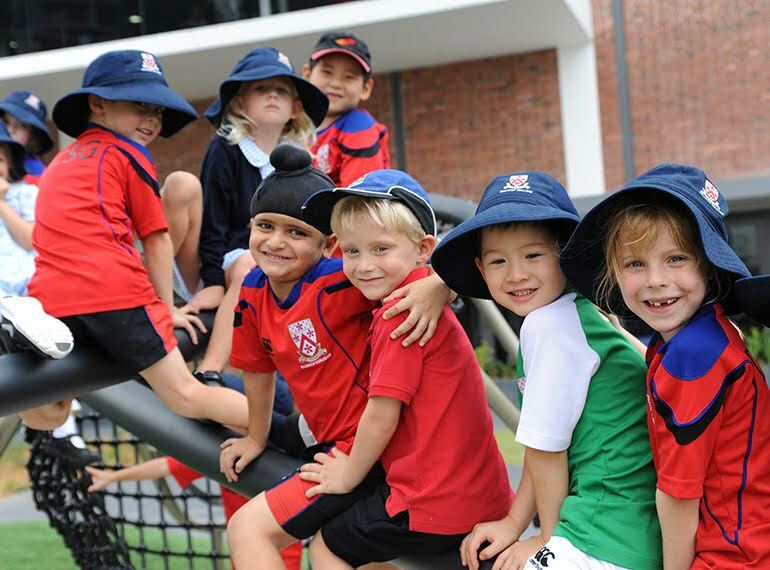 Avondale Grammar School Singapore is dedicated to providing an exceptional educational experience within a welcoming environment, enabling students to fulfil their personal and academic potential. Avondale believes in understanding each child as an individual. Through appreciating each student’s unique capabilities Avondale offers personalised learning opportunities and thereby an exceptional education. Avondale is committed to providing a warm and nurturing environment for its students. It believes learning in such a safe and friendly setting enables each child to develop the independence and self-confidence they need to become an assured global citizen. When a child joins Avondale, they become part of the Avondale community (as does their family). Avondale also has a fantastic positive education program which you can read about here. That the school is a diverse, internationally minded community of learners. That the IB Learner Profile is the centre of our learning experience. To strive for personal and academic success for all. To encourage honesty, respectfulness, compassion and effective communication. All members of the community have a right to be heard, valued and respected. To have a safe, aesthetically pleasing and well-resourced school environment. The first of the new breed of lower cost international schools, Invictus Private School opened in August 2016 in a three-classroom campus in Bukit Merah Central. It’s an independent school offering a holistic education and aims to provide affordable, quality education for all. It launched with 75 students, classes for grades 1 and 2, with an average student teacher ratio of 1:25. It follows the International Primary Curriculum (IPC), developed in the UK. The facilities are limited but there is an activity room for physical activities, creative arts and assemblies and a computer room. Co-curricular activities (like drama and music) are held in external spaces. It’s proving popular with expat families trying to make ends meet in the face of rising international school costs. 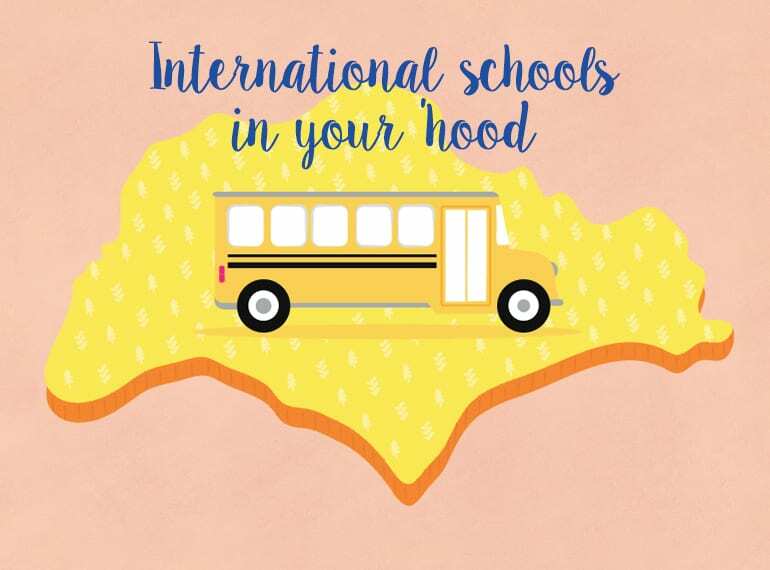 The ISS International School mission is to provide a multicultural educational environment for students in which they achieve academic success, personal growth and become socially responsible and active global citizens with an appreciation of learning as a life-long process. ISS International School accomplishes this through an international and dynamic curriculum delivered by an enthusiastic and experienced faculty and staff in partnership with students, parents and guardians, in a caring and supportive community. Founded in January 2007, St. Joseph’s Institution International (SJI International) is one of just three schools in Singapore with a licence to educate both Singaporean and international students. It aims to offer a values-driven international educational experience within the context of the Catholic faith and the local community. To do so, SJII draws upon the best practice of some of the leading international schools in the world as well as the ethos of the global network of Lasallian schools. Consistent with a Catholic and Lasallian ethos, it continually evaluates all processes against these values. The six pillars of SJII are: spirituality, mutual respect, internationalism, leadership, experiences and service. Another of the lower-cost International schools springing onto the Singapore market, Middleton International School (once it opens in 2017) will aim to provide a quality international primary education (ages 7-11) for $18,000 a year, or $1,500 a month. The programme is based on the UK National Curriculum, and will have a strong bilingual focus drawing on the Singapore MOE curriculum for Chinese and maths. Students can then move on to the EtonHouse Secondary School that offers the IGCSE qualification. Costs are kept at a minimum with larger class sizes (28 kids) and smaller facilities, with students using external spaces for sports and co-curricular activities (drawing on the facilities of the stable of EtonHouse schools). The campus is likely to be located in Bukit Timah. Nexus believes in personalised education to cultivate each child’s individuality. Located just 2km from Holland Village, Nexus offers an accredited international curriculum with a commitment to delivering a rigorous education that emphasises learning alongside social and personal growth; preparing children for the demands of tomorrow. 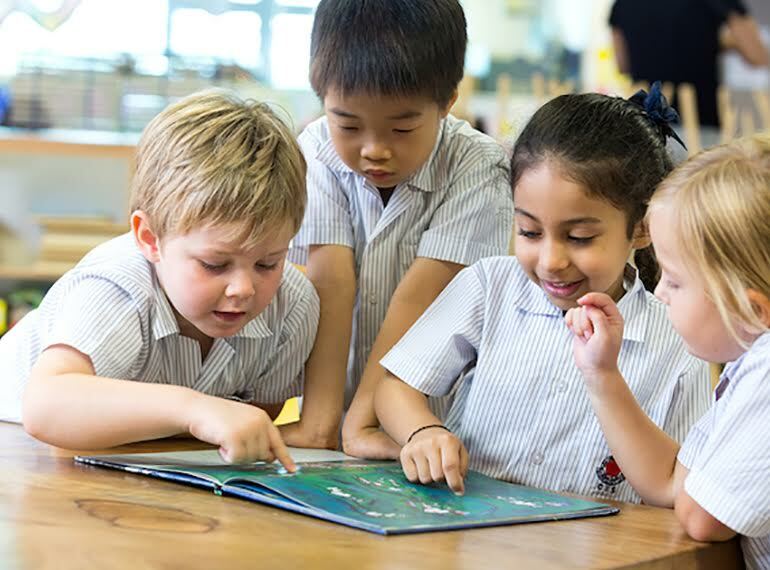 Nexus believes in personalised education, guided by dedicated world-class educators who understand and respect each child’s individuality, so that children benefit from a nurturing environment where it is safe to take risks and push boundaries, growing to become confident, self-regulating learners. 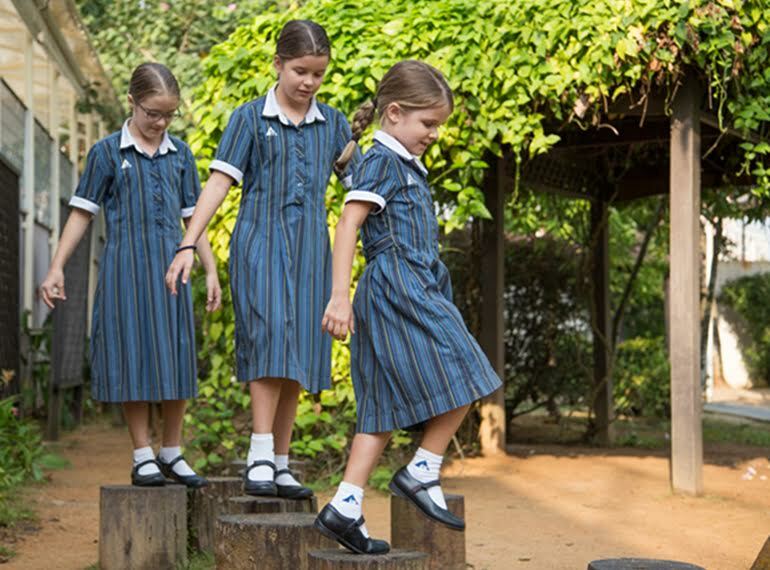 Tanglin Trust School has a curriculum with a global focus. 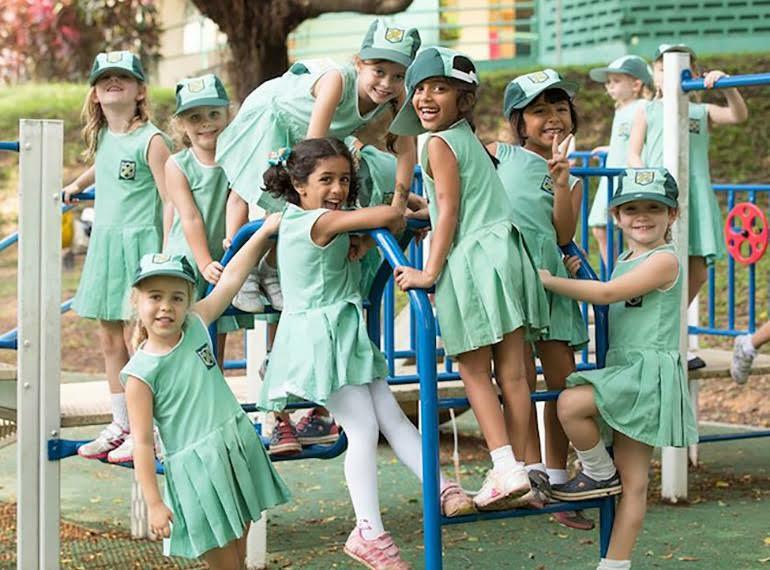 Tanglin is a vibrant co-educational school of over 2,770 students from age three to eighteen, representing over 50 nationalities. Whilst the school’s academic traditions and approach to learning are firmly grounded in an enhanced and rigorous English National Curriculum, there are many aspects of school life that have a global focus, which is contextualised to Asia. The result is that students not only achieve excellent results but are open-minded and develop a natural ability to reflect on the international environment around them. Tanglin is unique in Singapore in offering the dual pathway of A Level or IB Diploma at Sixth Form, following I/GCSE at Year 11. 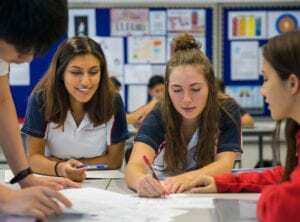 Read our article about Tanglin Trust and how it is the only school in Singapore offering both the IB diploma and A Levels. UWCSEA is a mission-driven school with a passionate belief in the importance of education as a force for good in the world. Its learning programme weaves academics, activities, outdoor education, personal and social education, and service into a world class education from K1 leading to the IB Diploma. Every year, everyone has the opportunity to join the vibrant international community on one of UWCSEA’s two campuses in Singapore, as the College introduced a ‘no waitlists’ annual application cycle. Applications open 12 months in advance of an academic year for entry into K1 to grade 11, including boarding for grade eight and up. UWCSEA is a not-for-profit organisation and one of 15 UWC schools and colleges located around the world. The Winstedt School is committed to delivering a comprehensive academic curriculum with a strong emphasis on socio-emotional skills and the arts. The academic program is well structured to develop a student’s intellectual potential. It includes the core subjects of the language, arts, Mandarin, mathematics, science, social studies and humanities, physical education, technology, and the fine arts. The Winstedt School believes in developing good character, moral values and a keen sense of social responsibility within the school and community. The development of truth, goodness and morality are virtues students strive for which in turn makes for good citizenship. The school embraces cultural diversity and equal opportunities for all learners. 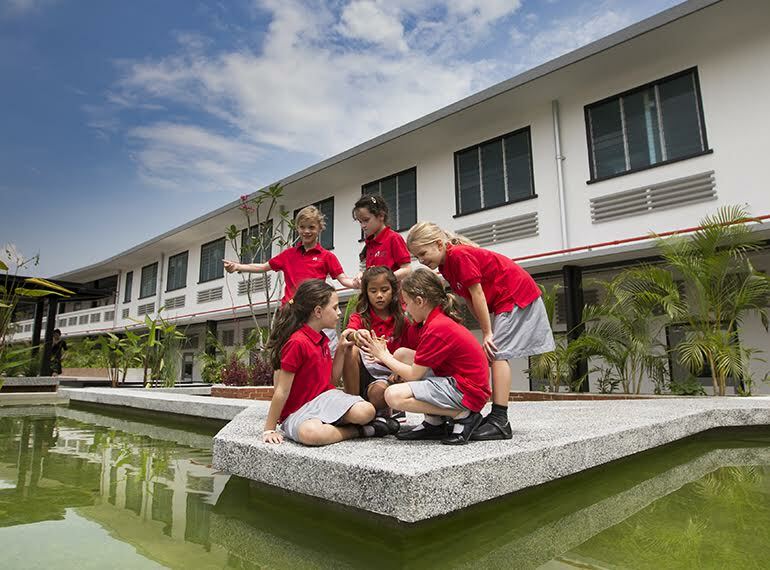 Canadian International School (CIS) is a leading IB world school in Singapore that offers the Primary Years Programme, Middle Years Programme and Diploma Programme for students aged three to 18 years. 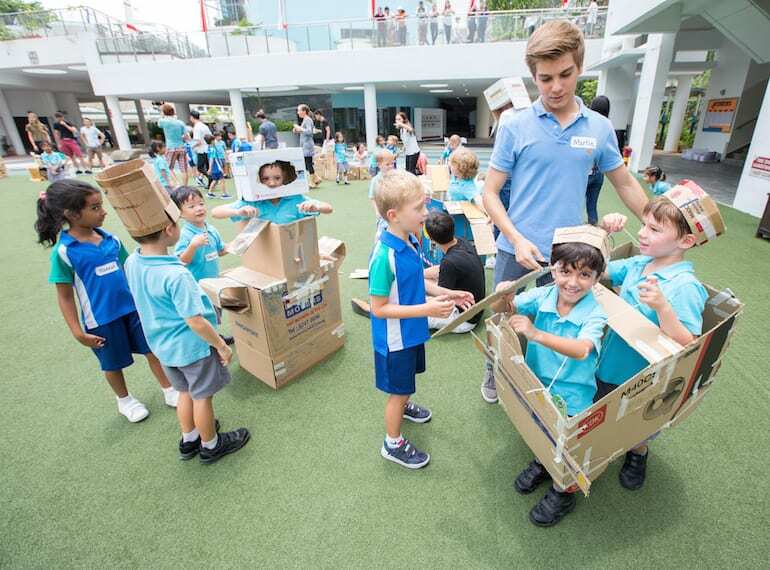 Over 3,000 students from 70 nations attend the school across two campuses – Lakeside (early childhood to grade 12) in the West, and Tanjong Katong (early childhood to grade six) in the East. Tanjong Katong – 371 Tanjong Katong Road, Singapore, 437128. Katong – 25 Jalan Tembusu, Singapore, 438234. The Overseas Family School is an independent K-12 International School for expat families with a student enrolment of over 3000. The Overseas Family School is accredited by the Western Association of Schools and Colleges (WASC), USA, is registered as a Cambridge International Examinations (CIE) Centre, UK, and is registered with the Council for Private Education, Singapore. The school offers the International Primary Curriculum (IPC) Early Years and Milepost Programmes in the Pre-Kindergarten, Kindergarten and Elementary School, and the International Baccalaureate Middle Years Programme (IB-MYP) and Diploma Programme (IB-DP) to students in Middle School and High School. In High School, grade nine and ten students also study for IGCSE examinations. One World International School is known for its strong school community. One World International School is a non-denominational, multi-cultural school catering for families looking for an international education. It aims to provide the benefits a smaller school can bring to each individual student, whilst doing great things as a community. If you love the idea of a more scaled-back school campus closer to your local school back home, this could be the place for you. 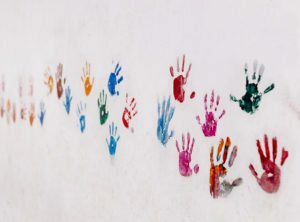 For more info check out our articles on how the kids at One World International School learn the value of kindness, and why One World International School stands out as a small and beautiful place for kids to learn. GEMS know first hand the outcomes of what it provides to individuals, families and communities. That’s why it strives to deliver quality education for all, and why it is at the forefront of educational conversations. GWA Singapore represents GEMS Education’s commitment to bringing these outcomes to Asia. GEMS commits to providing outstanding learning opportunities, through an environment of mutual respect, transparency and engagement. Read our recent parent review of GEMS for an insider’s perspective. GEMS does some amazing charity work too! 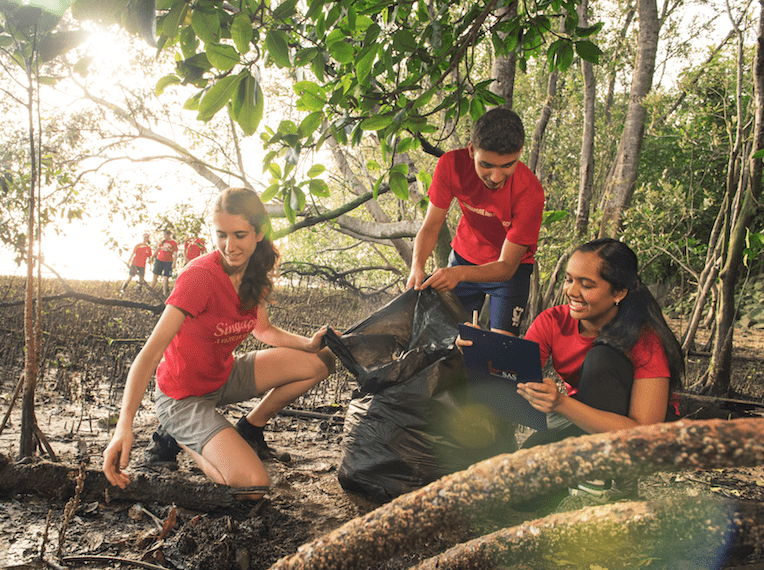 Students at Singapore American School participating in a coastal cleanup. Singapore American School enjoys a reputation of innovation and excellence in education. Three strategic anchors guide the vision for the future of SAS: a culture of excellence, a culture of extraordinary care, and a culture of possibilities. Together, these three anchors provide an environment where engaged students learn to think critically and develop the skills necessary to succeed throughout their lives. SAS has state-of-the-art facilities on a beautiful 36-acre campus. Students have access to advanced music recording, video production, robotics, digital composition, and photography technology to assist them in their pursuit of passion. Open airy walkways, tropical courtyards, and a natural rainforest offer students the prime environment for developing life-long learning skills. The teachers at Sir Manasseh Meyer inspire kids to be the best they can be. 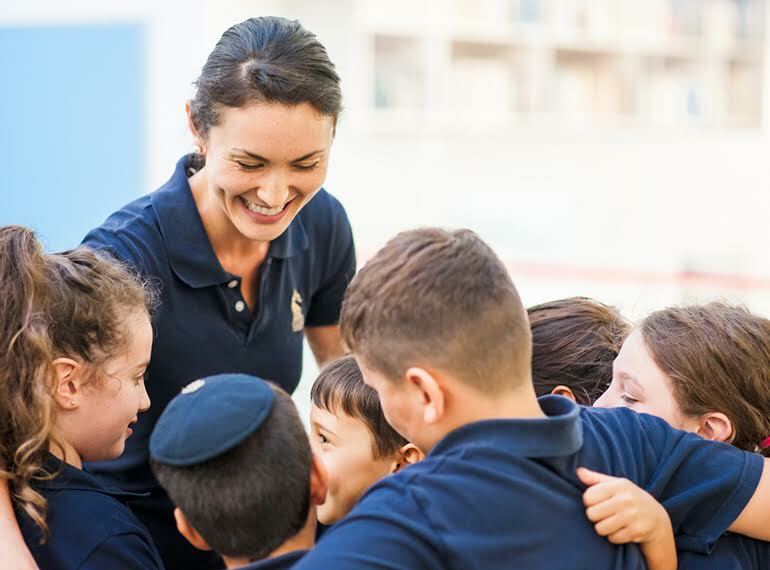 Sir Manasseh Meyer International School (SMM) is a non-profit international Jewish school that welcomes students from all nationalities. It provides an excellent, holistic academic program within a challenging, intellectual and nurturing school culture to empower every child to be a strong, confident and creative thinker that cares about global society. Small by design, it helps every child in the school to reach his/her full potential through its unique combination of academic excellence, personal interaction, and all-rounded educational support. SMM encourages each child to challenge their views and mindsets and become curious, adventurous lifelong learners who dare to be great. The French school of Singapore belongs to a dynamic network of French educational establishment in foreign countries, supported by AEFE (Agency for French Education abroad). LFS is a private school complying with Singaporean law and recognized by the French Ministry of Education. Therefore, the academic decisions of the French School are valid for the admission of students to any public or private educational establishments under contract in France or in any other countries. Beyond the demand of academic achievement, the French school favours the self-fulfillment of its students through a broad range of extra curricular activities such as sports, technology and culture, organised on the 22,000 square metre campus. Dover Court International School was founded more than 40 years ago and is one of Singapore’s longest established international schools with a reputation for its inclusive environment. This school embraces children of all abilities: its unique approach to learning support allows children to learn in smaller classes alongside their peers so that each student achieves the very best they can. With its beautiful green spaces and strong school community, Dover Court has long been a favourite with families. Develops compassionate, caring individuals with respect for themselves and others. Bukit Timah: Junior School Campus – 300 Jalan Jurong Kechil, Singapore, 598668. The mission of International Community School is to educate minds and transform lives to impact the world. With a low student-teacher ratio and students from over 26 nations, ICS is a fully accredited K-12 international school teaching an American curriculum with a biblical worldview. Founded in 1993, it fosters a caring community committed to provide each student with a quality, holistic education within and beyond the classroom. Alongside academics, ICS instills in each student a love and respect for all cultures, a zeal for lifelong learning, and a passion for personal excellence. 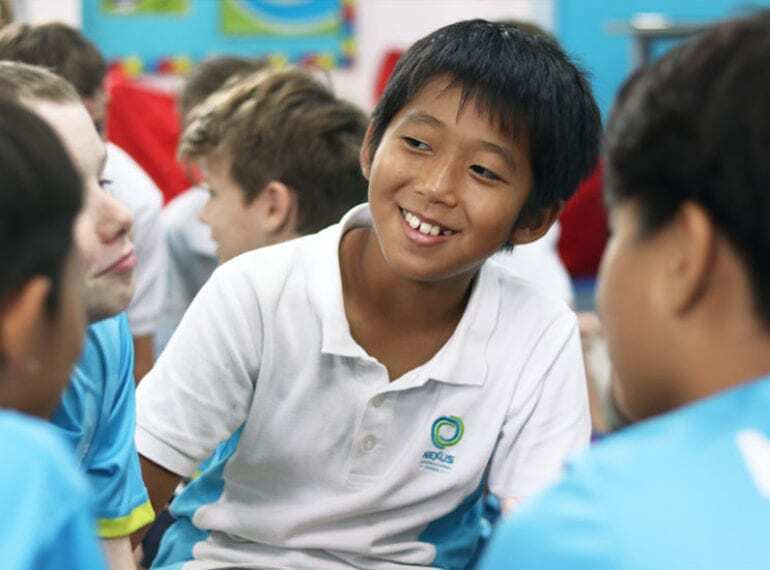 The first boutique International School in Singapore to offer a mainstream and support approach for children aged four to sixteen years old in an inclusive setting. Integrated International School prides itself on inclusivity and acknowledges that the “one size fits all approach,” to learning and teaching is extinct. 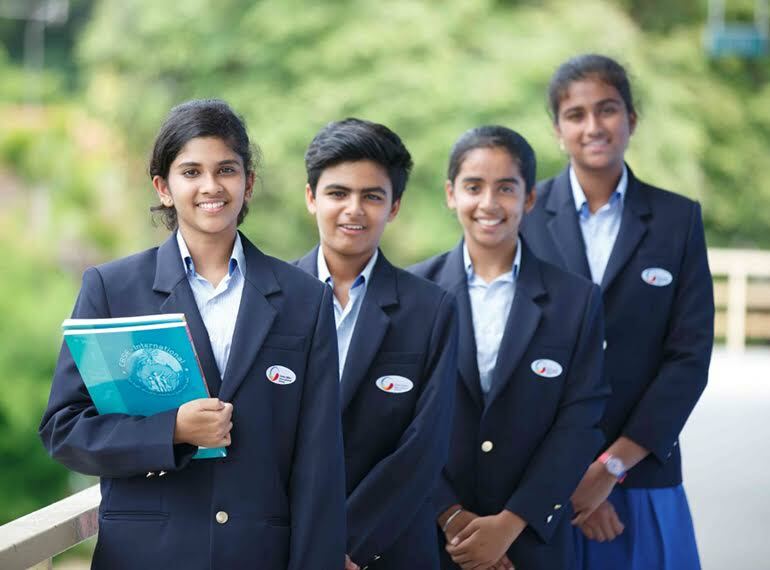 Students at IIS are integrated in one International community, supporting and enhancing individual talents whilst fostering socially conscientious and tolerant human beings. IIS provides an environment where small class sizes (approximately 10 students per class) and an enviable teacher to student ratio are tantamount to the success of its students. 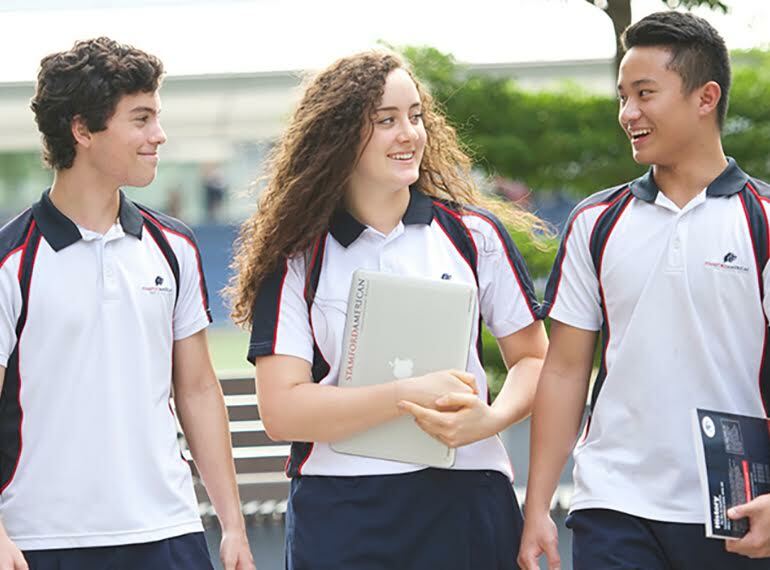 Marlborough College Malaysia is a fully coeducational, independent international boarding and day school, following a British curriculum, IGCSE courses and, for the top two years of the school, the IB Diploma Programme. The boarding and day Senior School is for pupils aged 13 to 18. There is also a day Preparatory School for pupils aged between four and thirteen, with the option of boarding from the age of nine. 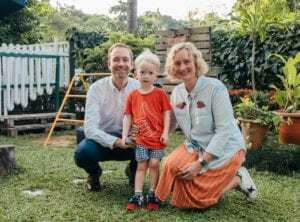 The school is situated on a secure 90-acre estate on the southern tip of Malaysia in Iskandar, just across the second causeway from Singapore. For more information read the recent HoneyKids article on Malborough College. 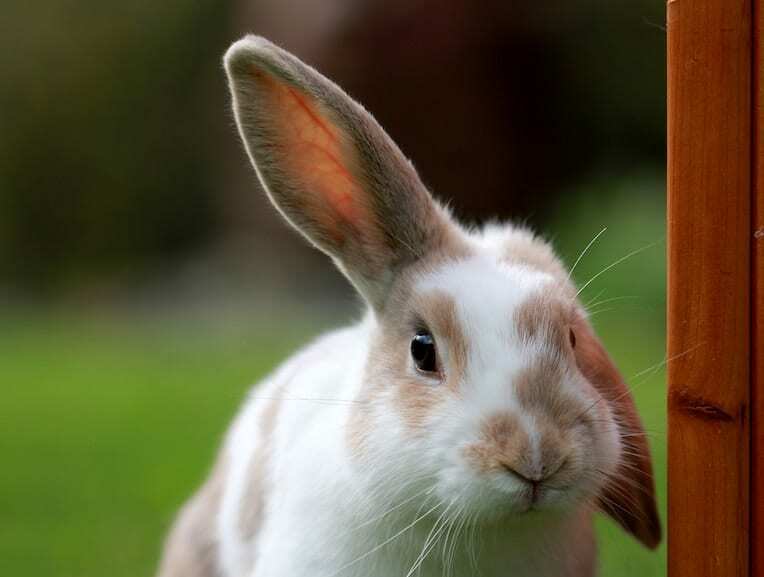 Georgina is a mum of two gorgeous girls and two cheeky little chappies. 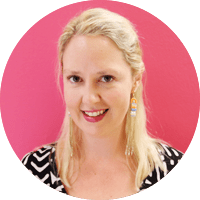 She's a former writer here at HoneyKids, an ex-lawyer and wild bedtime story teller. Lured back to Singapore for a second stint by its delicious laksa and close-by travel destinations, she's experiencing the city anew and telling the tale.